Love this product, when I go to bed or leave home, I feel safe with this product on. I got friends who wants to order this product. 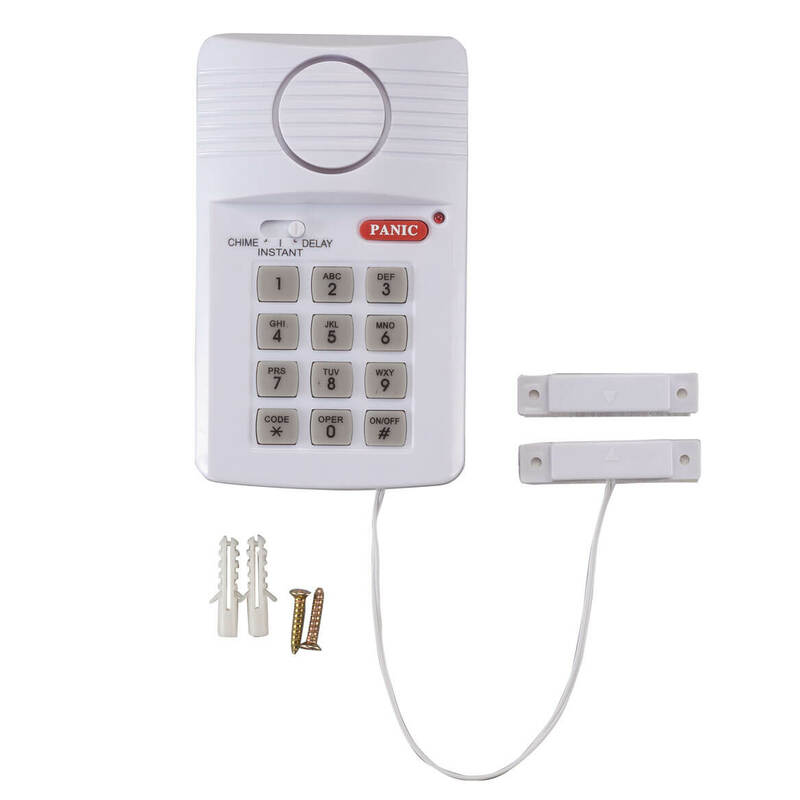 I use this product to feel safe in my home. I love it I recommend it to other members of my family and friends. I purchased this recently, put in a new battery and installed it. And it did nothing. I had one previously, and it also quit working. However, due to its low price, and free shipping, it is not worth returning. Will not try this again. To alert caregiver that the dog is outside during cold weather. 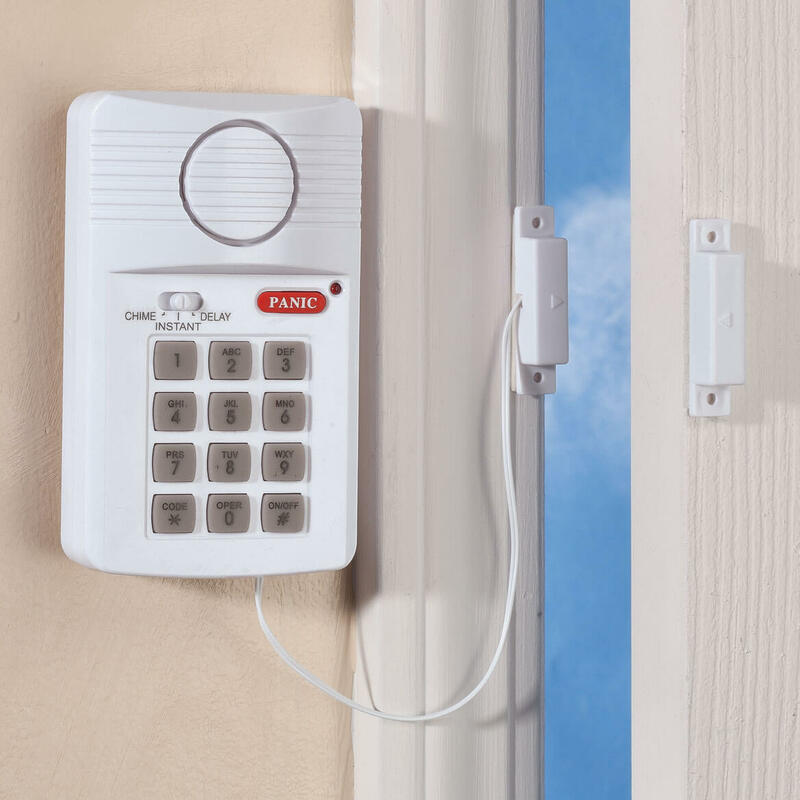 How do you program door alarm? Very easy, with the instruction book, just set a code a zam you ready. If intruder gets in. Will alarm. Keep on making sound till code is put in ? BEST ANSWER: Thank you for your question. Yes the alarm will continue to go off until the code is put in. We hope this information will be of help to you. Will it alarm til I cut it off? BEST ANSWER: Thank you for your question. The alarm will continue to go off until the code is entered to stop it. We hope this information will be of help to you. Will this work on glass doors with metal door frames? BEST ANSWER: Thank you for your question. No we do not believe it will work. As it uses magnets to hold the alarm system. Normally glass doors are not magnetic and but metal frames might hold it. We hope this information will be of help to you. How many db is the alarm or how loud is the alarm? BEST ANSWER: Thank you for your question. The alarm is 110 db. We hope this information will be of help to you.